Well I am sitting on the final leg of my journey home from Israel and I have to confess, I did a really bad job of blogging! There was so much to do and I was enjoying not being so technologically connected to the universe that I didn’t blog too much. I hope you will forgive me. This fine photo is one of the reasons I was technologically disconnected. 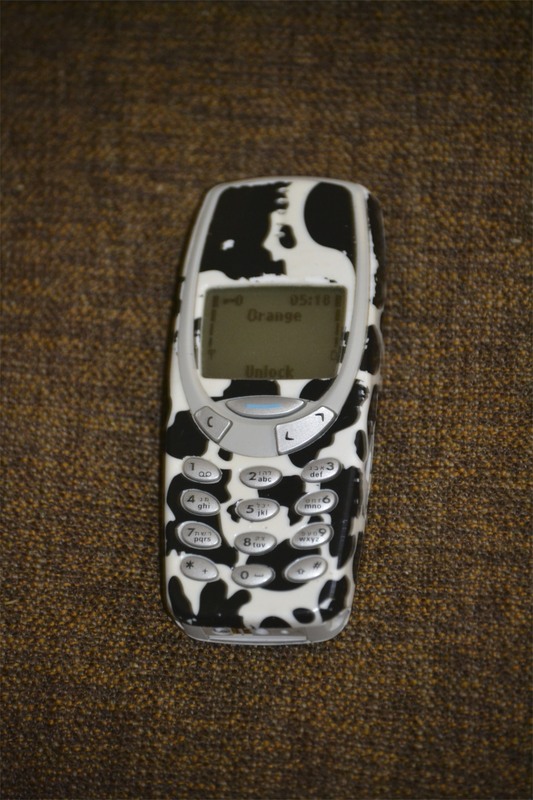 This beauty of a phone was my phone during my year-in-Israel, 2003-2004 and it works like a charm. Many friends and family members have borrowed said phone on their own trips. The end result is I don’t know who most of the people in the address book are and I have a perfectly functional phone. So essentially I was walking around the Holy Land with this beauty and didn’t have a blackberry or an ipod. I could text people in Israel and the phone worked fine though I am too cheap to make calls to the USA on it. Thereby, not so responsive to emails yet walking around with an awesome cow phone. While I was in Israel I went to see a movie. Here is the ticket stub from said movie. Can you read it? (Ok, it is hard to read. It says “Harry Potter”). 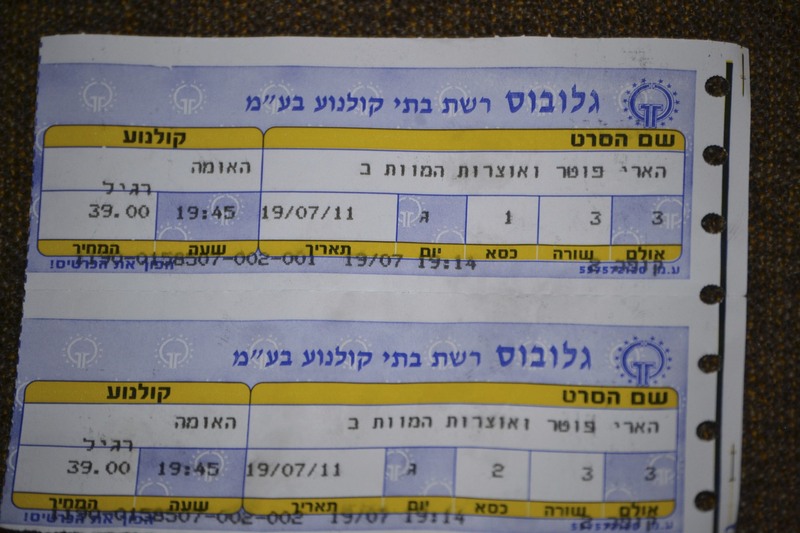 Going to a movie in Israel is an excellent reminder of why going to a movie in North America is better. One, projection is important as is sound quality. Two, most theaters have stadium seating. Three, the seats are not assigned which is ideal when you prefer not sitting so close to the screen it seems as though you can see up the actors’ noses. Four, there is no random break in the film so that the concession stand can make more money and when the movie starts up again, every person in your row has to move past you to get back to your seat. That being said, it was truly a wonderful experience going to this movie and I look forward to seeing it again at home. While in Israel, I also got older. Yesterday was my birthday. I had a chill and relaxing day which was just what the rabbi ordered because it was really hot in Jerusalem. I also go to pack and go to the airport to head home. That was less fun although I am looking forward to settling down in LA LA LAND. 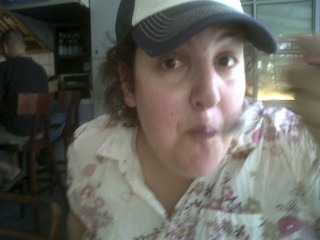 For your viewing pleasure, here I am eating my birthday lunch of the most delicious humus, chicken and Israeli salad. I promise I’m working on those other posts, too. This entry was posted in Israel, memories, technology. Bookmark the permalink.